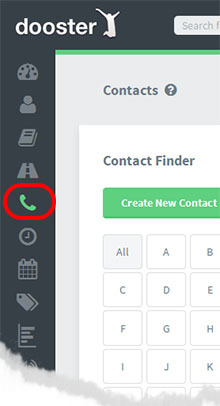 The Project button shows all the projects the contact is associated with. Use this to view and edit the list. 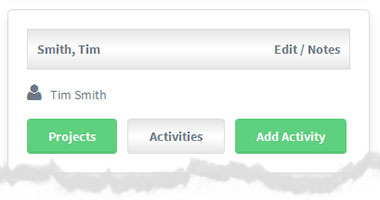 To delete a clients contact details click on the top of their contact card and use the delete this contact feature. You can turn a Contact into a Member of your Dooster Team (see here) at any time – simply use “Invite New Person” feature.